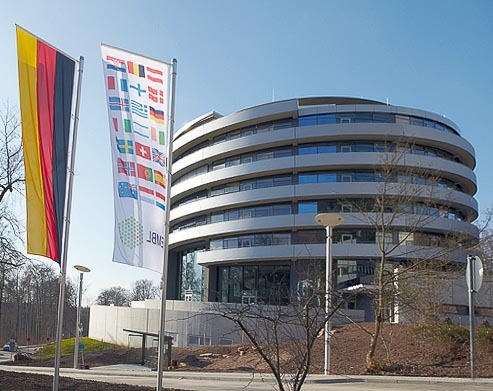 The EMBL conference office provides general information for participants, a participants' FAQ page, as well as information on how to get to EMBL. For VIZBI participants, there will be a special conference bus that will pick up from specified stops in the morning and return from EMBL in the evening. Accommodation is not included in the registration fee of the conference. Rooms have been pre-booked at the EMBL partner hotels, allowing participants to choose a suitable hotel at an EMBL discounted rate. Please contact one of the partner hotels before 6 February 2014 in order to ensure availability. Prices do vary according to season, therefore please quote the code VIZ14-01 and confirm the exact price of the room with the hotel directly. A free conference shuttle buses service will be provided for VIZBI 2014 participants. The buses will go from designated stops near the hotels to EMBL and back, mornings and evenings. *The bus 39 also travels to and from K�nigstuhl so please make sure you take the bus 39 stating EMBL as a destination. **Bismarckplatz - is the main bus and tramway stop in Heidelberg city centre. Please note: this bus does not run at the weekend or public holidays. The fare is 2.40 EUR, paid directly to the driver. Another option to get to and from the venue is by taxi (Tel. nr. : +49 6221 30 20 30).